Description: This is a sandwich loaded with fresh ingredients, easy to make, and the perfect flavor combination to wake up your senses! Instructions: Toast the bread and spread the herbed butter lightly on both pieces of toast. Slice the tomato and avocado thin and arrange on one side of the sandwich. Place the egg in a microwave safe bowl, poke the yolk but do not break it, cover and microwave for 45 seconds. Add egg to sandwich, and top with arugula. Enjoy! A perfect brunch and/or potluck recipe that is easy to make! 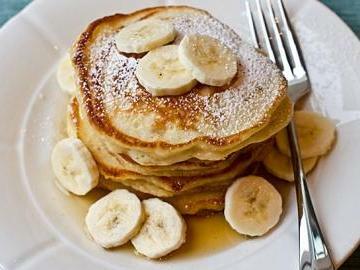 Fluffy on the inside, crispy on the outside, and delicately flavored with bananas and honey.